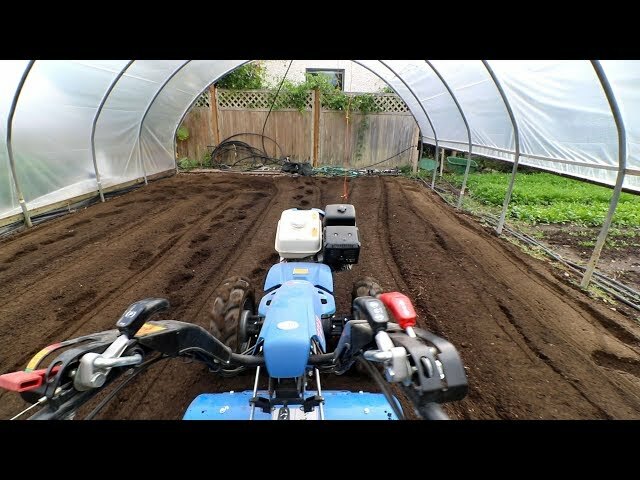 Turning under some old beds, amending the soil, and preparing them for a new crop. 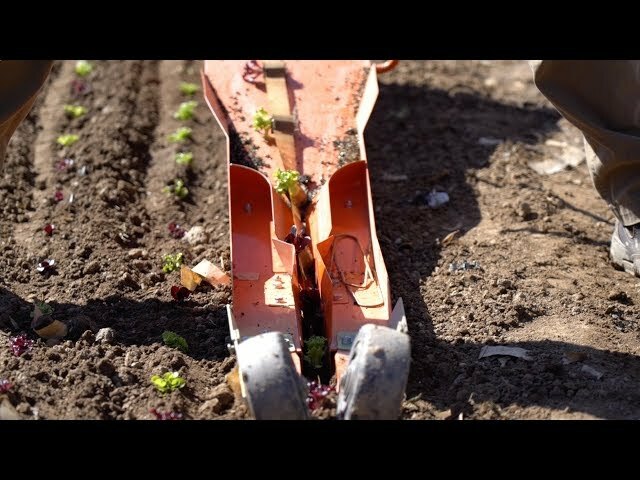 Here is how we prepare our permanent beds using minimum tillage techniques. plow fixed to our walking tractor to build them up again. 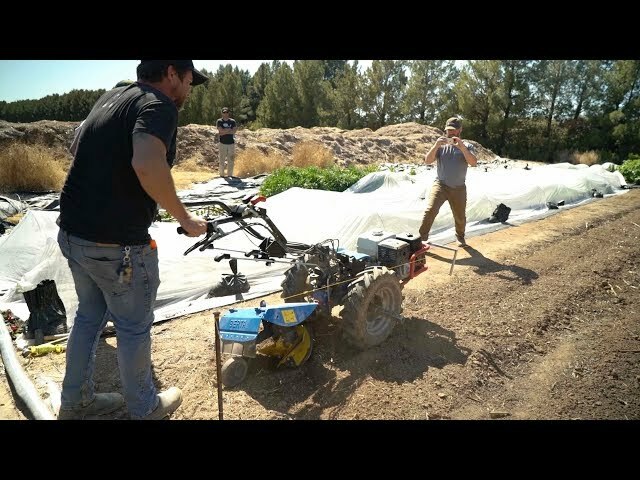 We spread the amendments over the bed and mix them in with a rotary harrow to a depth of 2 inches. 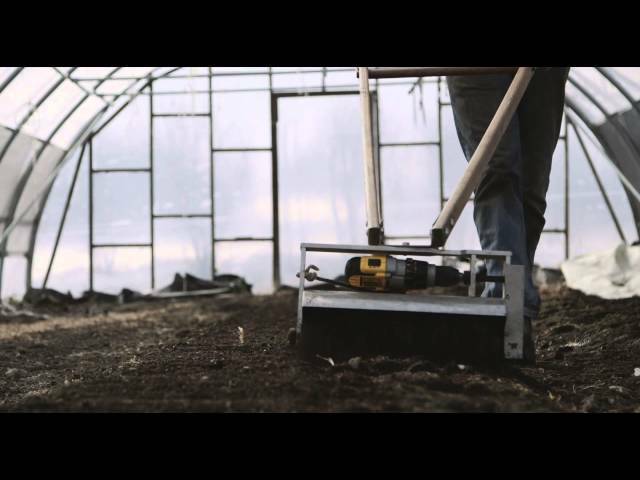 The rotary harrow has a roller in the back that tamps down the soil and levels the bed. 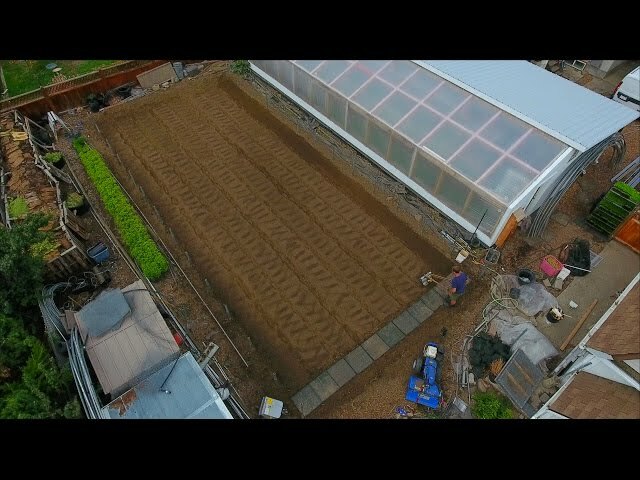 The bed is now ready to receive the crop. 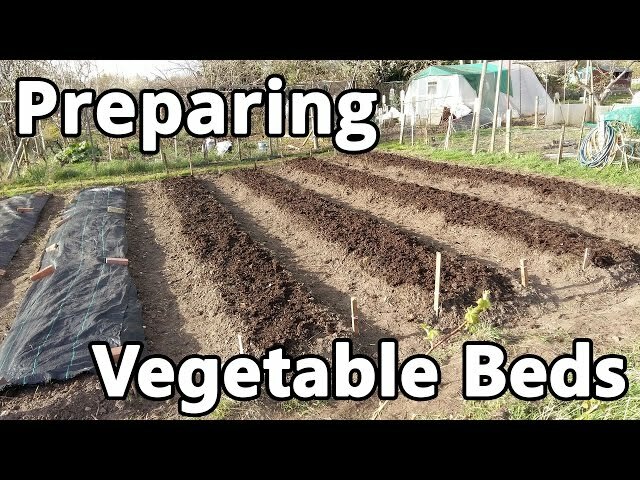 In this video I present how to prepare vegetable beds and why I use this specific layout. 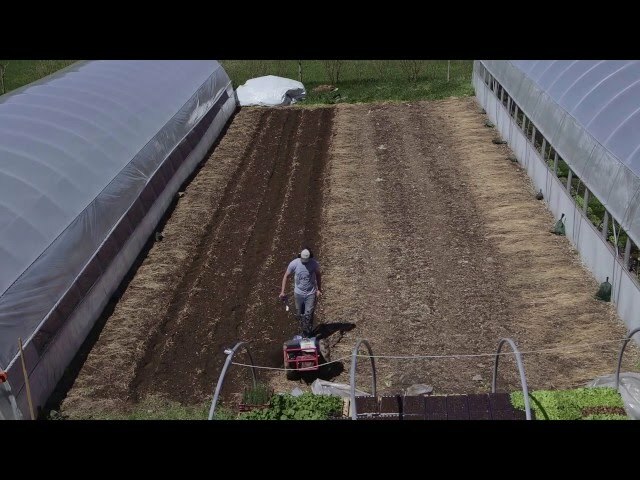 Curtis Stone runs a commercial urban farm called Green City Acres out of Kelowna, BC, Canada. 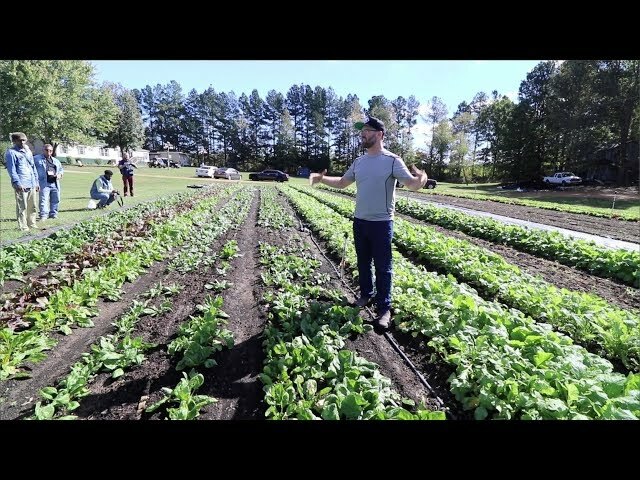 His mission is to show others how they can grow a lot of food on small plots of land and make a living from it. Using DIY and simple infrastructure, one can earn a significant living from their own backyard or someone else's. 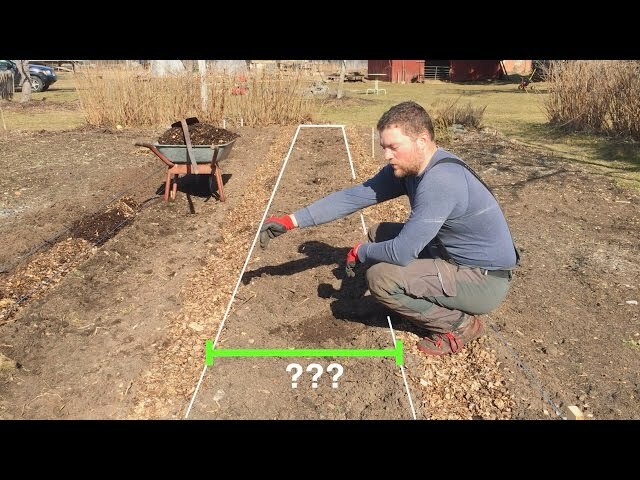 We have struggled for many years to find the perfect size garden bed. We think we have found it. We generally only try to reply to comments the first 24 hours after the video aired due to the amount of comments we receive. Feel free to get in touch with us via facebook or email. VLOG - 38. 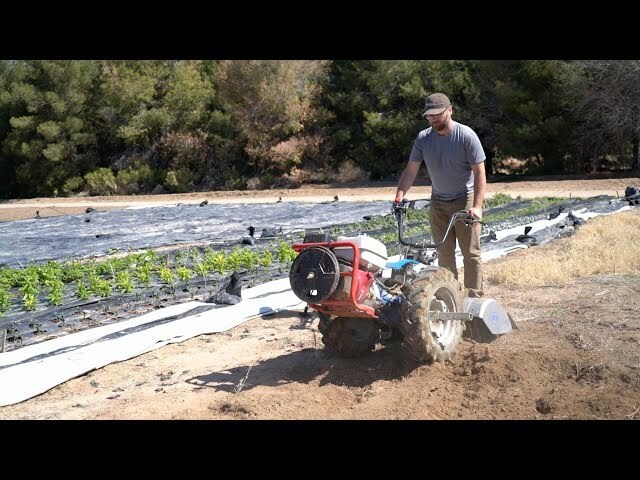 String lining beds, rototilling, raking, adding manure. Theme music composed by Curtis Stone and performed by Dylan Ranney. 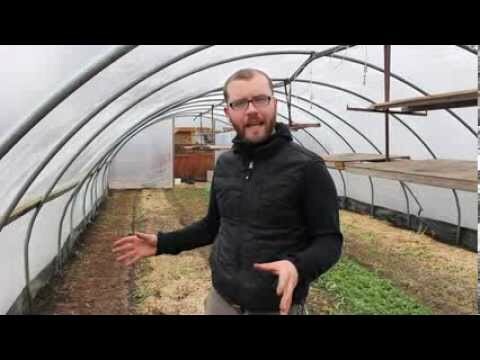 Preparing this greenhouse for winter crops.